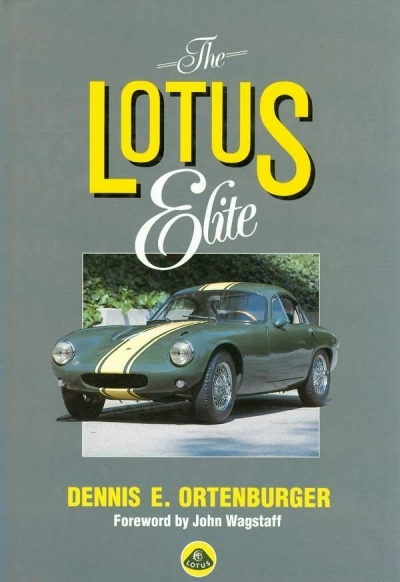 Dennis Ortenburger wrote three books on the Lotus Elite. The first was a paperback called ‘The Original Lotus Elite – Racing Car for the Road’, which was published in the USA only in 1977, and sold out quickly. He then wrote the book we are offering for sale, which went on sale in 1990 and was published in this country. The book was much more a history of the Elite in all its forms, and the author bought examples of both series of Elite (one Bristol and one Maximar chassis) and took them apart in order to describe them fully. The resulting text pulls no punches – see the specimen page below. 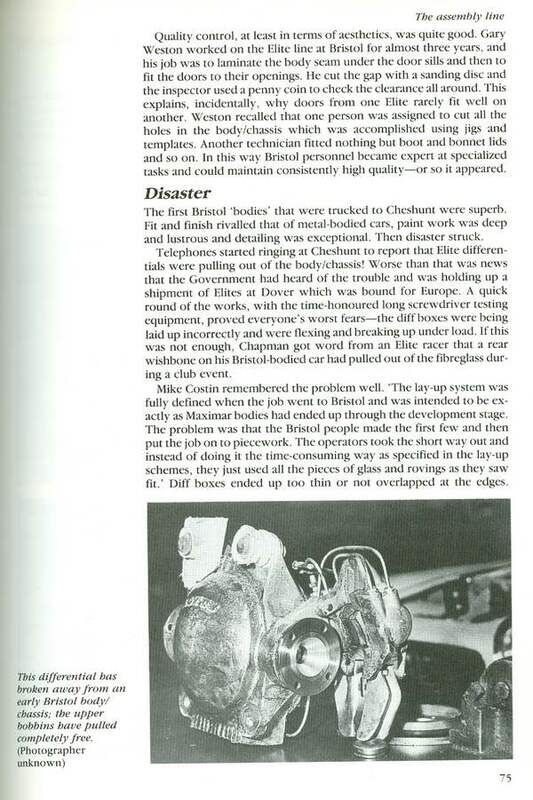 The author went on to produce probably the definitive book on the original Elite, which was coffee-table size. That book must have cost a fortune to produce, and secondhand copies are now on sale for prices starting at £150 and going up to well over £400.